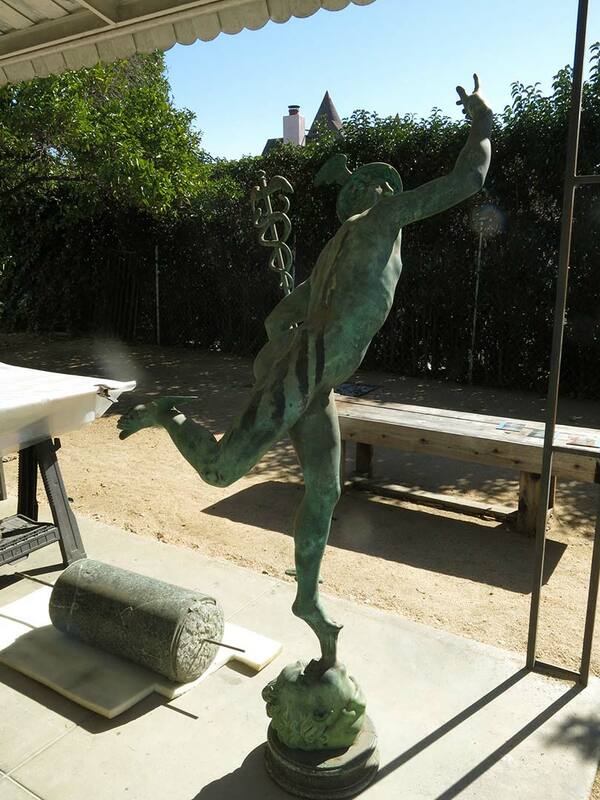 RLA’s work as the Huntington’s main conservators of outdoor sculpture addresses many materials. 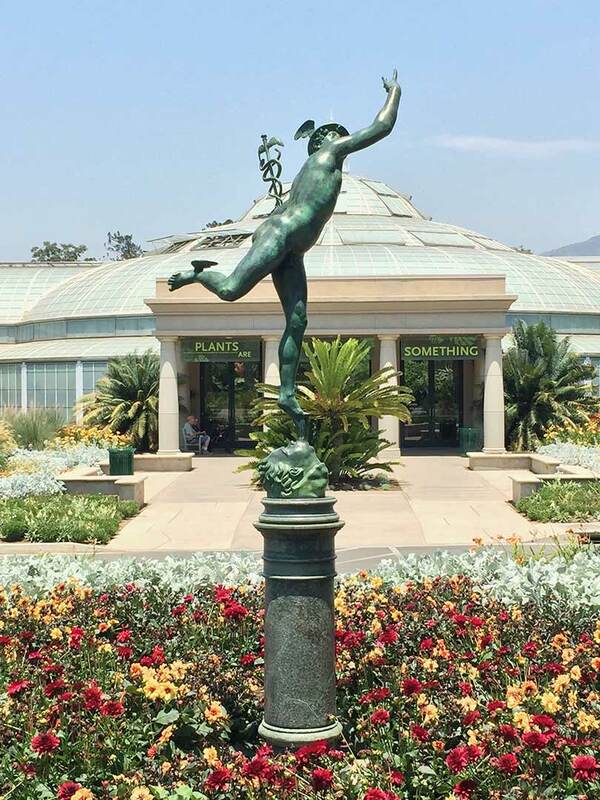 This piece is a large cast bronze sculpture of Mercury displayed on top of a serpentine stone column. 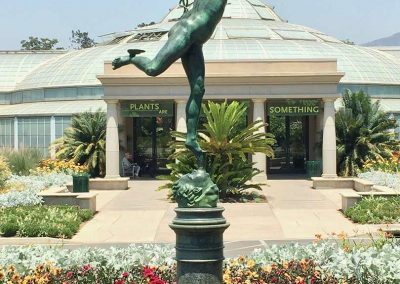 The sculpture had been stored outdoors for many years and had suffered extensive damage to the bronze and support column from fluctuations in temperature and exposure to the elements. 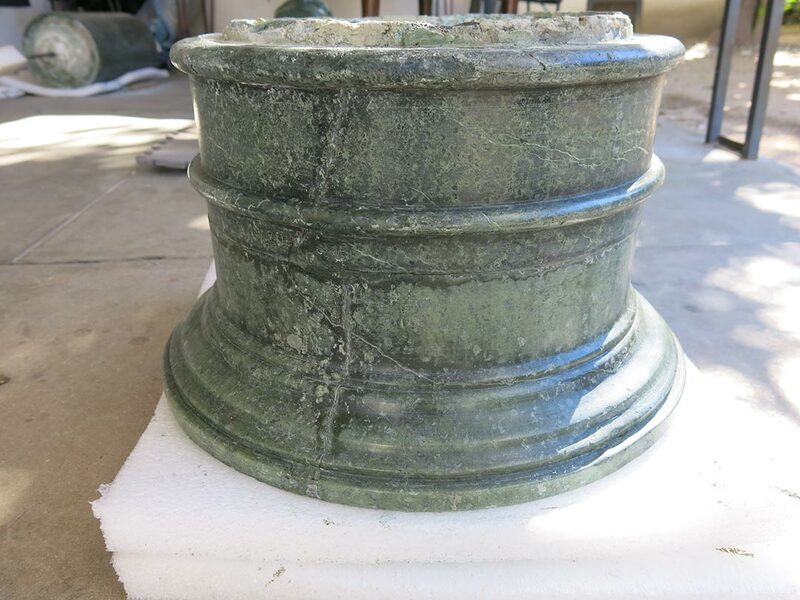 Additionally, historic lead fills in the bronze had started to leach and discolor the surrounding metal. 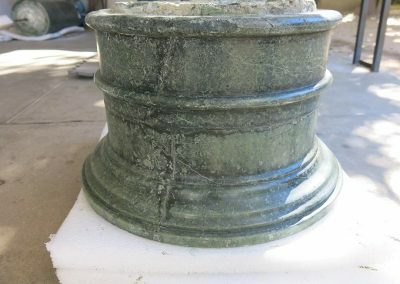 The bronze was cleaned, lead staining was removed from the surface, and the surface was repatinated to restore the original dark green surface. 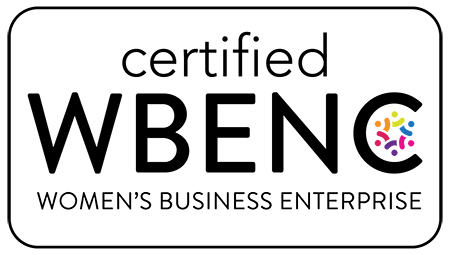 The lead fills presented a particular challenge as they were neither easily removable nor easily reintegrated. 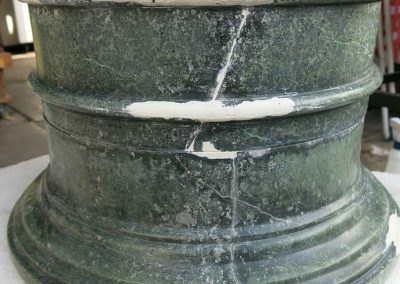 RLA developed a method for removing most of the lead, then filling with modified construction grade epoxies filled over top of the historic fills and inpainted to match the surrounding surface. Pigmented wax was applied across the entire bronze to act as a protective layer against weathering. 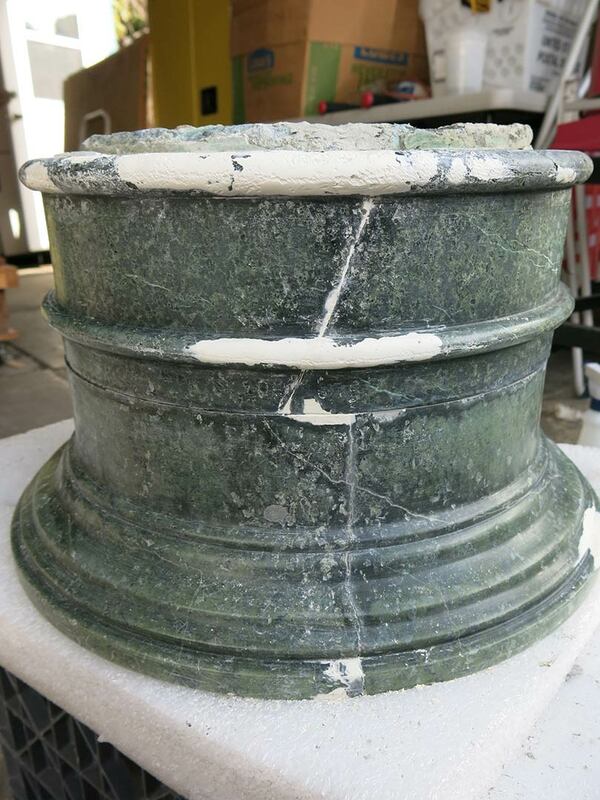 Additionally, the fragmented support column was reconstructed, with large areas of material loss rebuilt with epoxy putty. Fills were inpainted to match the surrounding stone.